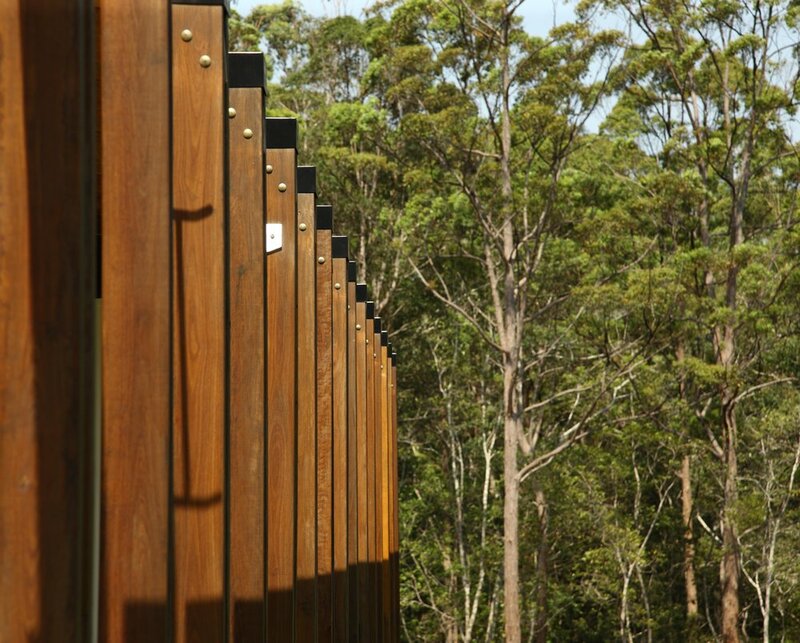 The landscape of the Maroochy Arts and Ecology Centre, located at the Maroochy Regional Bushland Botanic Gardens has been designed to be both educational and enjoyable, allowing visitors to take in the natural features of the Botanic Gardens and surrounding bushland. 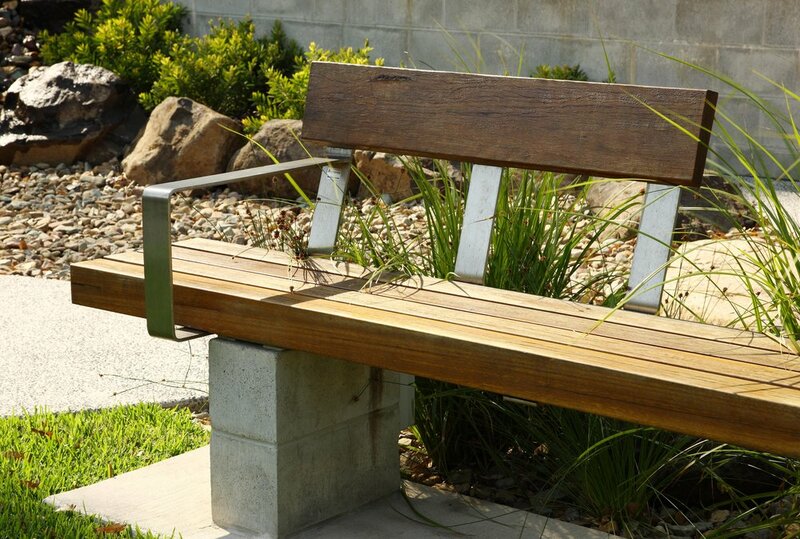 Working closely with Maroochy Botanic Garden staff, Guymer Bailey Landscape developed a native garden design that uses plant species endemic to the Sunshine Coast region. This flora promotes favourable micro-climatic conditions and ensures sustainable and healthy plant growth without the need for permanent irrigation. 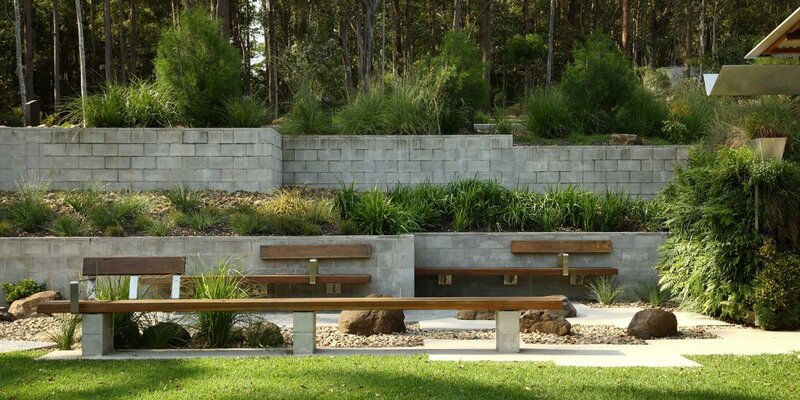 Creating a continuous flow from indoor to outdoor spaces landscaped courtyards create flexible activity spaces that merge into the gardens by natural walls and planting. 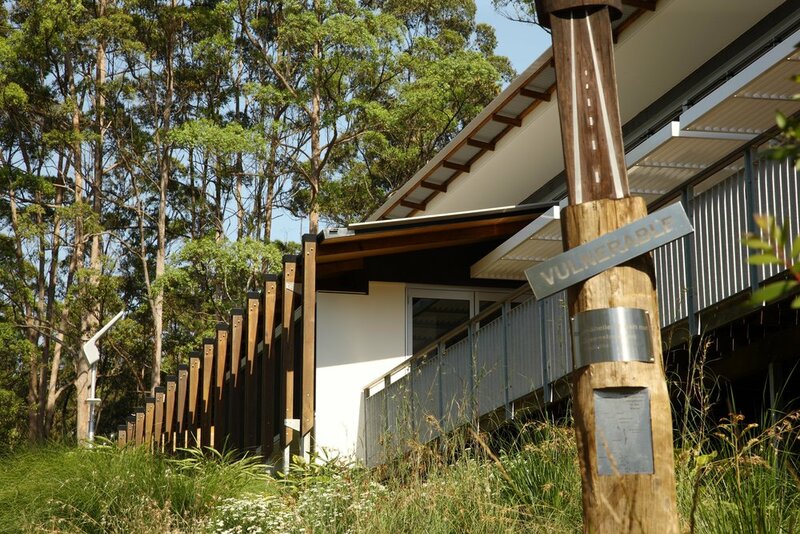 With the Centre designed to inspire current and future generations to expand their knowledge of sustainable living, the landscape follows suit, displaying environmentally sustainable elements for visitor education. 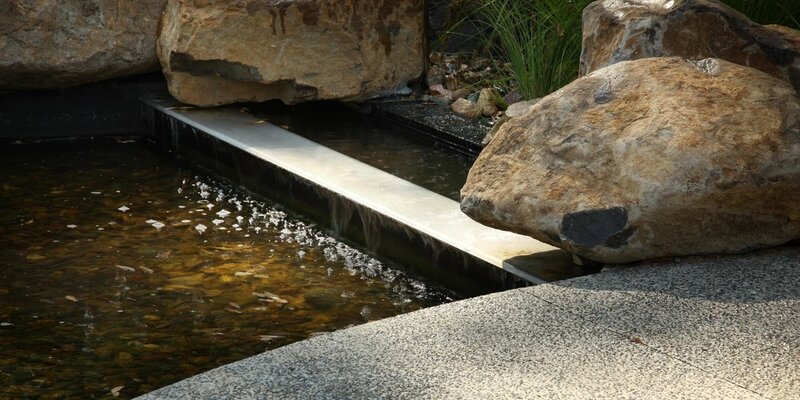 One such feature is the overland flow paths that simulate natural creek channels by using rocks and gravel surfaces, macrophytic plants and bioretention basins to control and filter stormwater runoff.